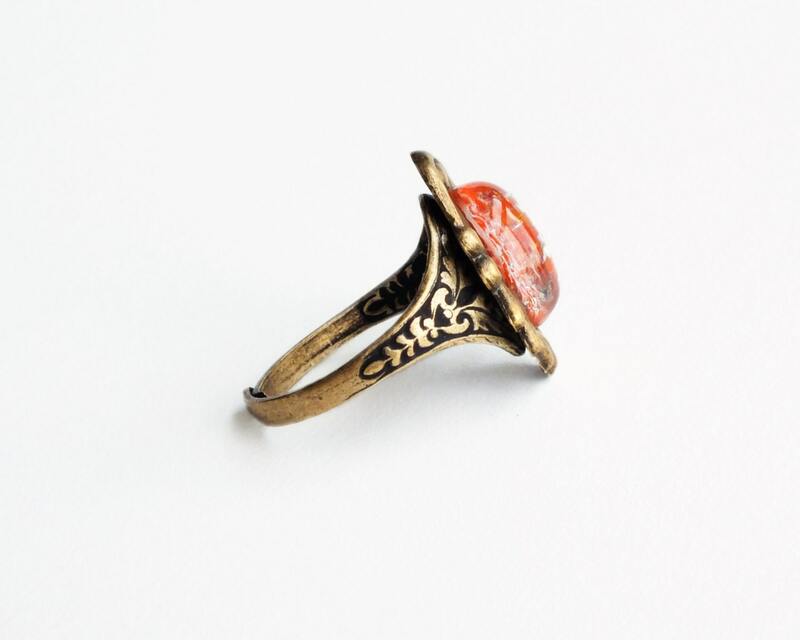 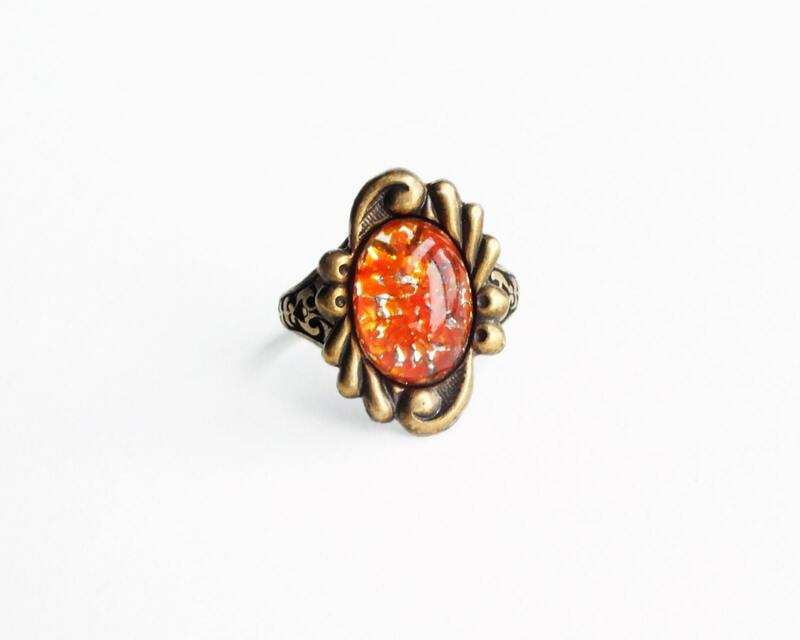 Handmade orange glass ring with vintage foiled glass opal and antiqued brass band. 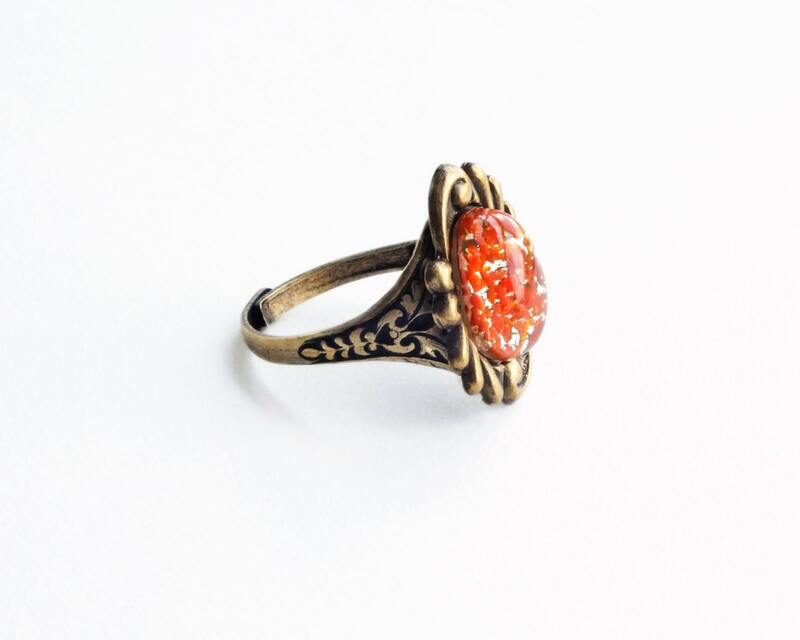 US made antiqued brass setting and frame. 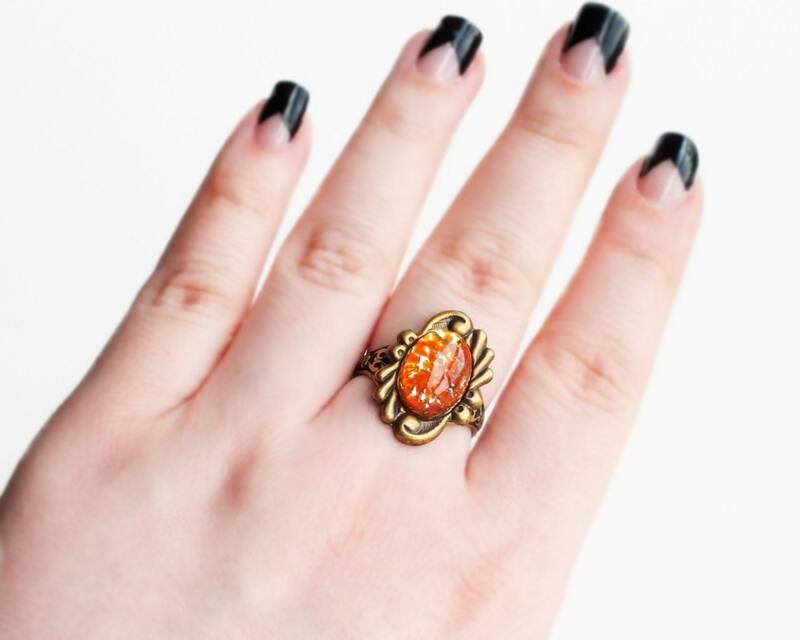 Made with a gorgeous genuine vintage 1940's sparkling domed glass cabochon embedded with tangerine glass and silver foil. 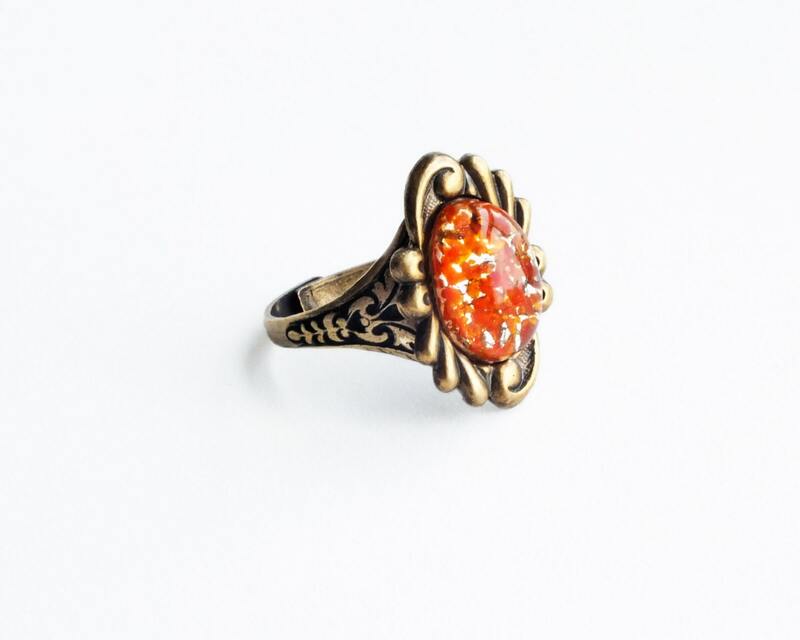 Set in an ornate asymmetrical frame secured to a Victorian style adjustable antique brass band.